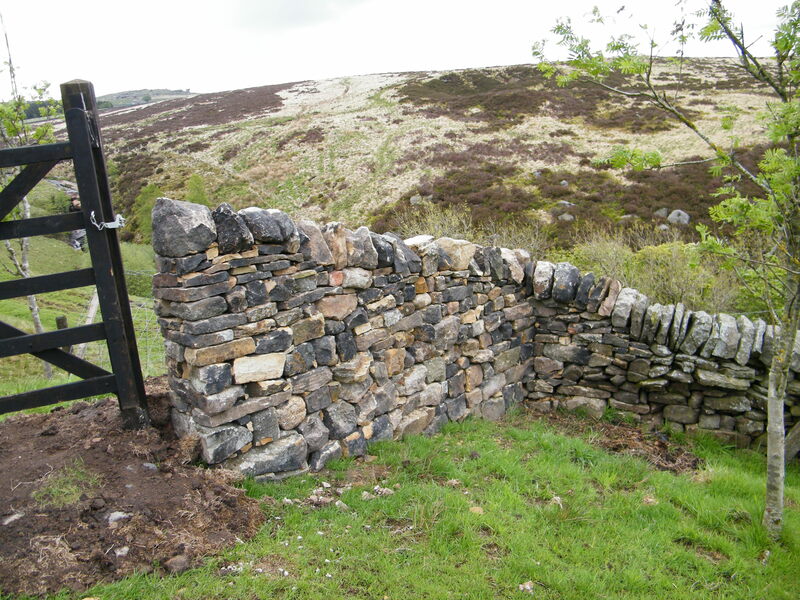 First image is a new build field wall above Todmorden – finished August 2015. 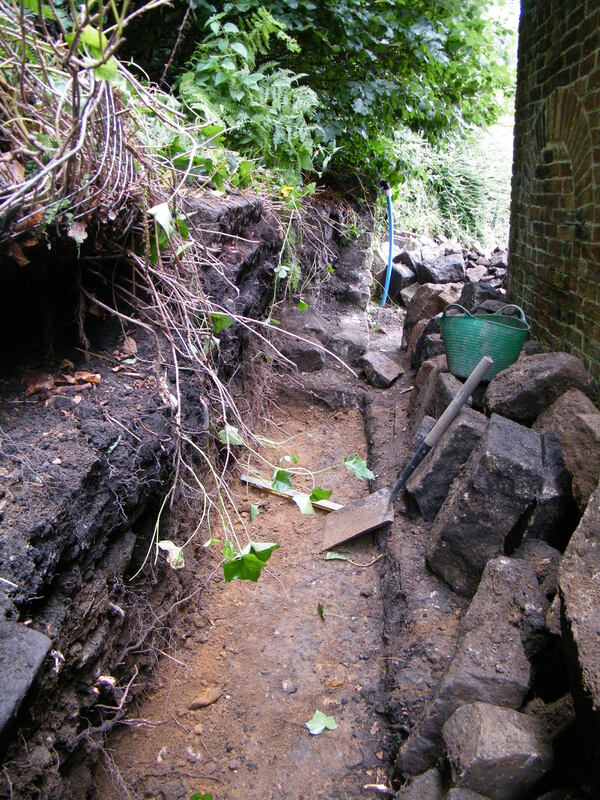 The second is part way through rebuilding a retaining wall (with Hywel Lewis) at Ted Hughes’ old house! 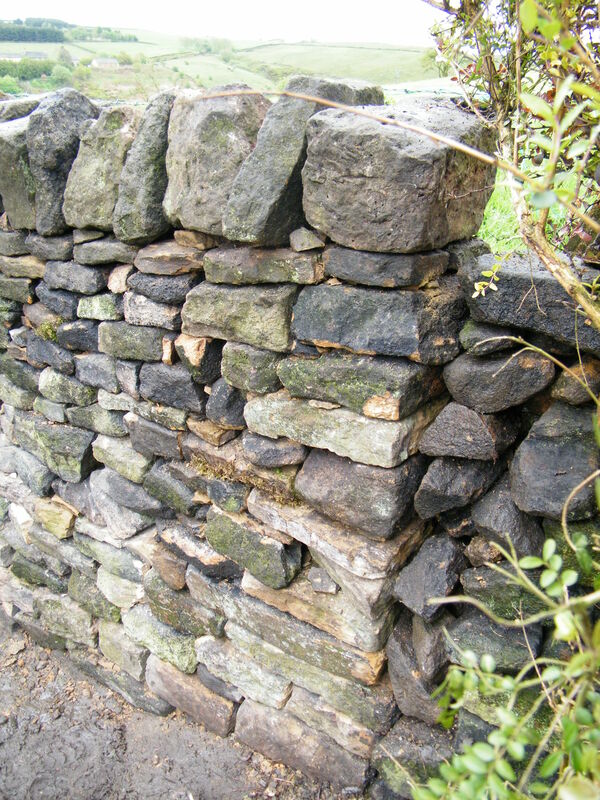 40m wall rebuild/new build above Slaithwaite. Land of the giants retaining wall! 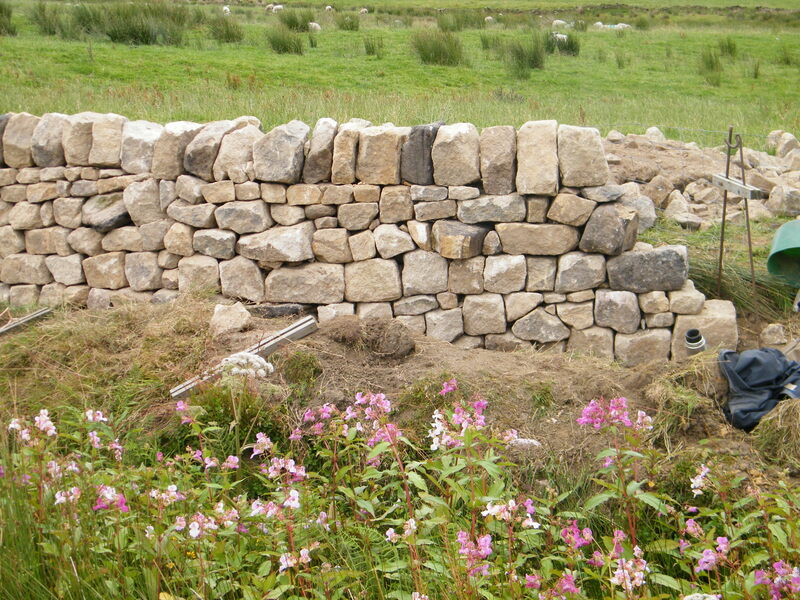 – The stone was all huge. 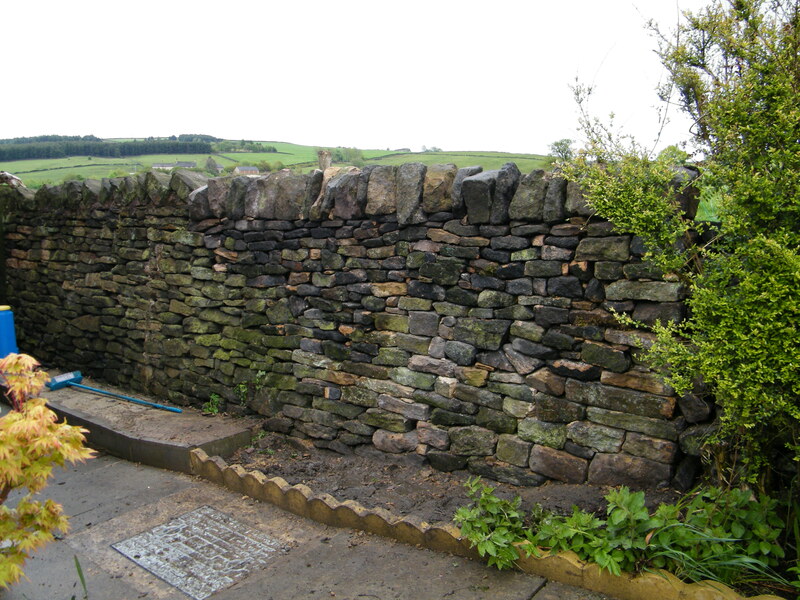 Above are two recent rebuilds – The top two in Dobcross – a part retaining wall with hardly any batter (angle of wall) ending at a wallend where the old wall continued but the client didnt want it rebuilding. 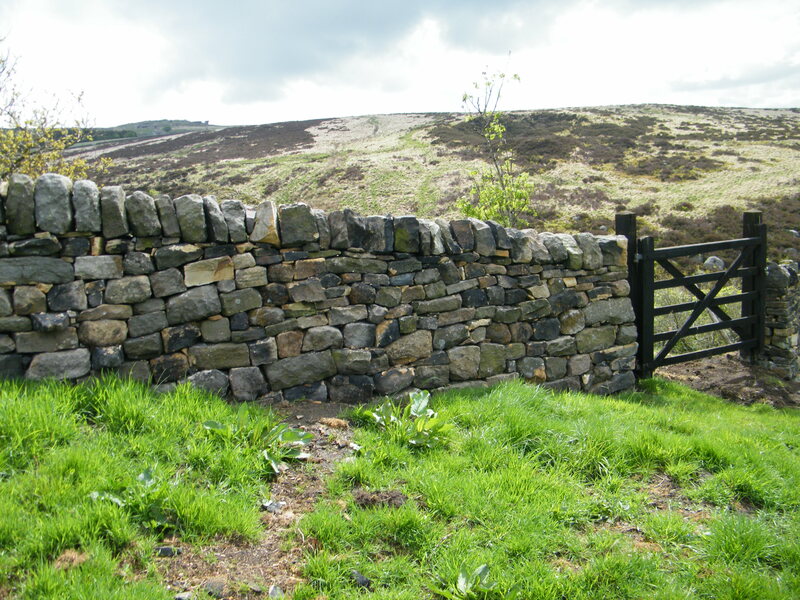 The two below are in Todmorden again, this time a steepish hill (beautiful view though) with a decreasing in height curved wall at one end and tied into an existing wall at the other end.